DECK CO. JP Custom 46MM Monotube shock with Bilstein internal valves. Aka. 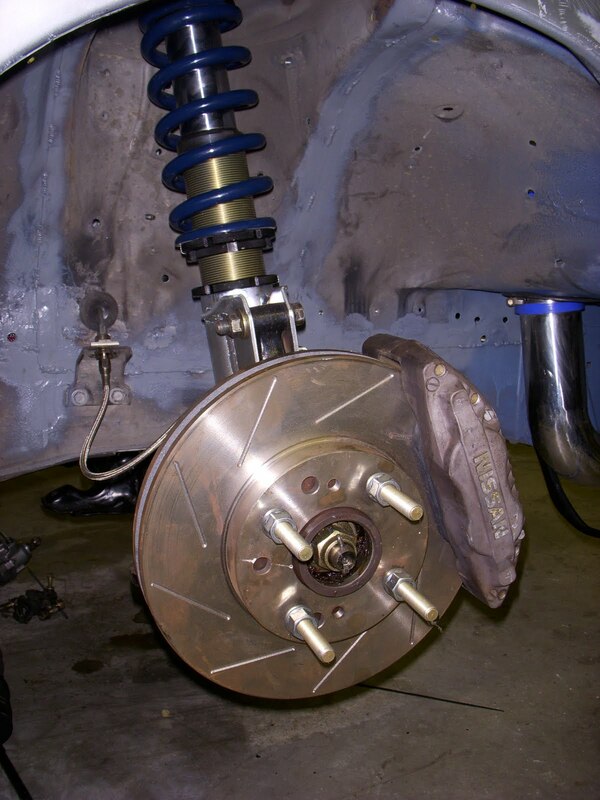 "God Suspension"
Hypercoil 3"ID 650lb springs in front and 500lb for rear. 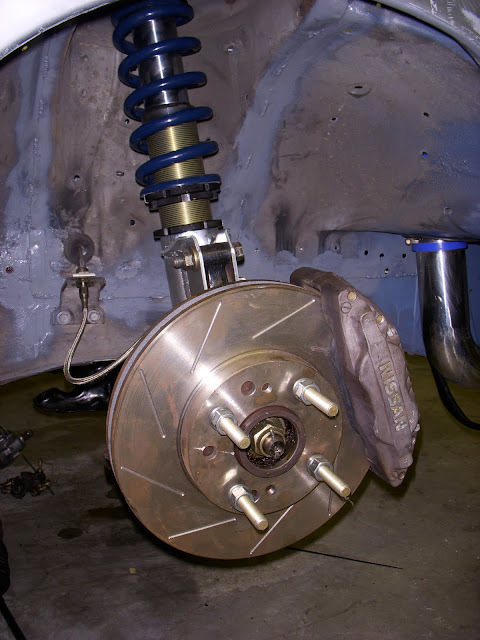 280x30mm 300zx TT rotors and 300zxTT aluminum calipers. Sporting Andy Porterfield's patented brake pad compound, "when you buy my pads, take them to the track and brake as hard as you can, have fun" A.Porterfield 86yrs old. 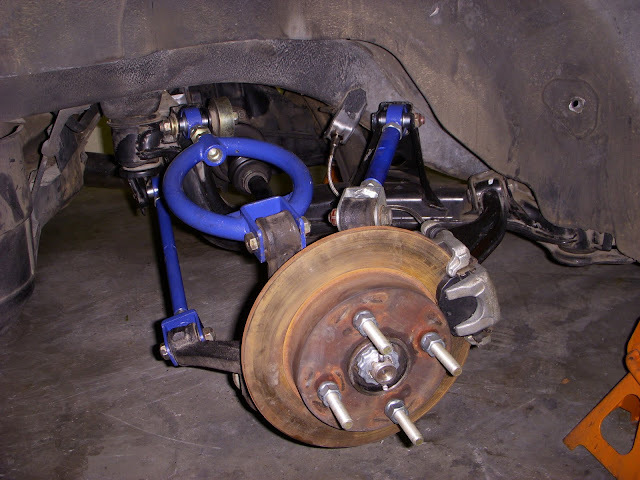 Adjustable multi link camber, toe, traction link arms, as well as XRP SS brake lines.